Inky Paws Challenge: Inky Paws #07 Challenge Winners! Inky Paws #07 Challenge - WINNERS! WOW! We really had fun checking out all the great GREEN entries for our latest Inky Paws Challenge at here at the Newton's Nook Designs blog! This months theme was GO GREEN - and all the participants really did some awesome green cards! As always- it's hard to pick a winner because all the cards are so great! Thanks to everyone who played along! 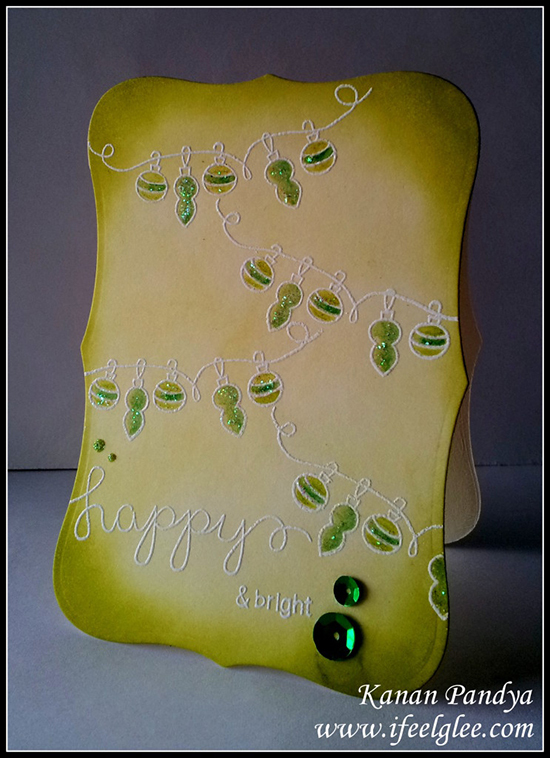 We just loved all the fun textures and shades of green on this card by Barbara. What a fun way to use tons of green! 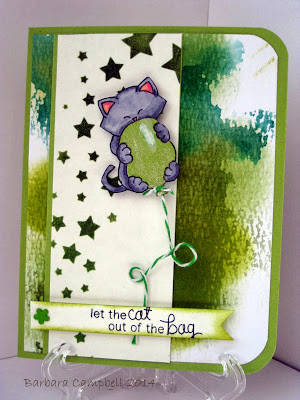 Barbara used the kitty and sentiment from our Newton's Birthday Bash Set. You can see more of her work and congratulate Barbara on her blog, My Creative Room. 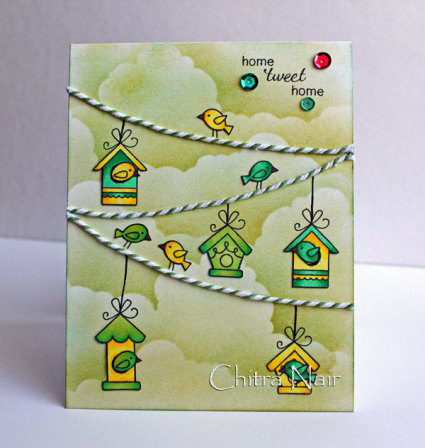 This card by Chitra also caught our eyes right away! We loved the sky filled with green clouds and all the green birdhouses and birds from our Tweet Talk Set on strings of bakers twine! So adorable! You can say hello to Chitra on her blog My Crafty Corner! Congrats Barbara and Chitra! Don't forget to send me an e-mail at info@newtonsnookdesigns.com to claim your $10 store credit and get your winner badge for your blog! 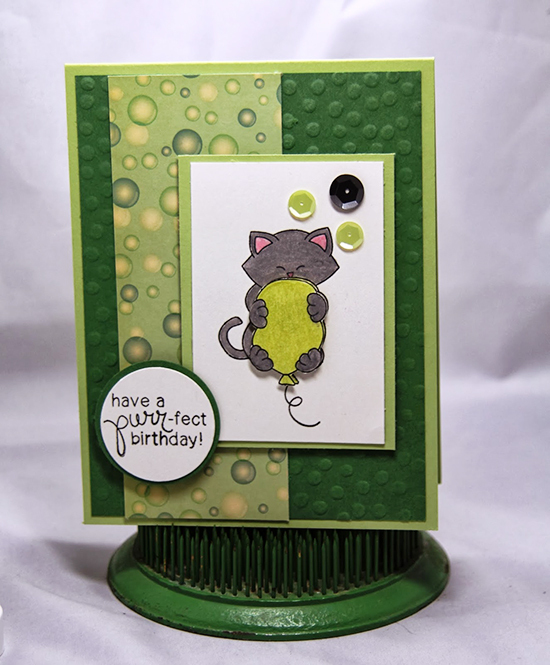 We loved the "green dot" theme that Donna used on her card with the Newton's Birthday Bash set. She has a dotted background texture, dotted patterned paper and sequins too! Great job! This card by Kanan was a different twist on the green challenge - instead of creating a spring card like most of the participants, she used our Holiday Wishes to create a pretty green Holiday card! We loved all the shades of green and bits of sparkle! This little tag by Kelli is just adorable! 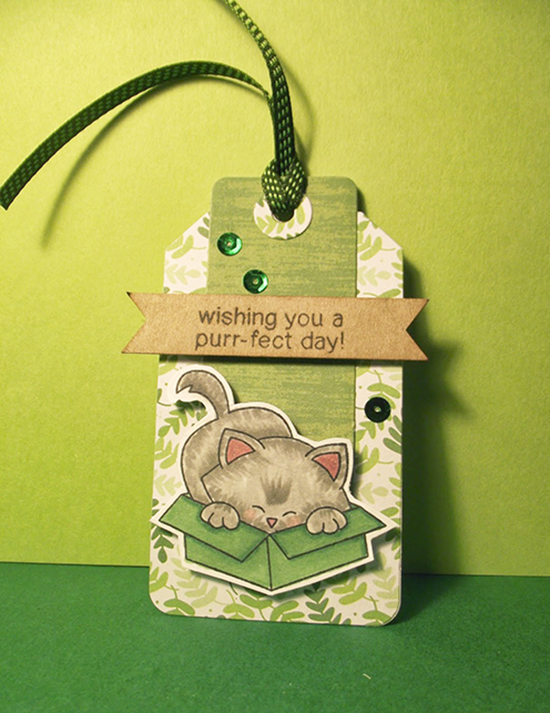 We loved the way she colored the kitty from our Newton's Antics stamp set. Plus there are a ton of shades of green on this little piece! What a fun tag! Thanks again to everyone who entered - We LOVE seeing all the entries! If you didn't win this time we hope you'll try again next month. It's always SO HARD to pick the winners because everyone does such a great job!